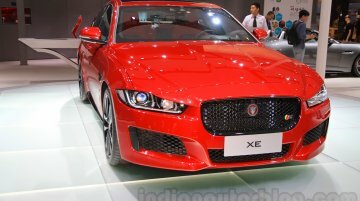 Jaguar Land Rover has launched the XE and XF with an Ingenium petrol engine in India. 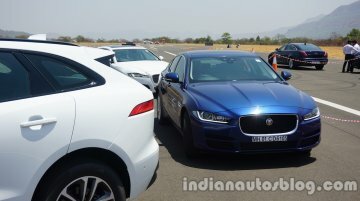 Prices of the 2018 Jaguar XE and 2018 Jaguar XF with the new petrol engine start at INR 35.99 lakh* and INR 49.80.. The 2017 Jaguar XF Sportbrake has made its show debut at the 2017 Frankfurt Motor Show. Here are the all-new XF estate's live images from the German motor show. The 2017 Jaguar XF Sportbrake..
Has the look of a sharp businessman, but the spirit of an athlete. The XF is quite simply one of Jaguar's most important models in their brand history. 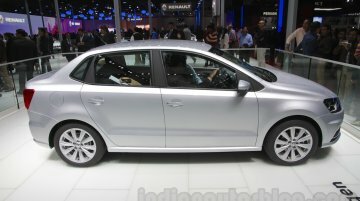 It is the sedan that helped usher a new era f..
Around INR 2 Lakhs less expensive than the CBU model. 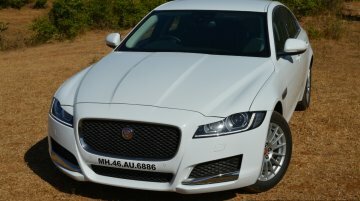 Jaguar Land Rover has inducted the second generation Jaguar XF for local assembly at their plant in Pune, Maharashtra. It is now on sale in.. Confirmed to arrive in 2017. 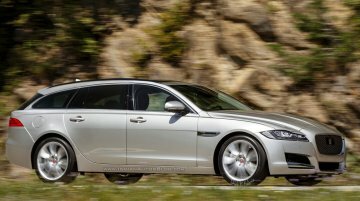 At the 2016 Paris Motor Show last week, Jaguar confirmed that the next generation Jaguar XF Sportbrake will arrive in 2017 and released a teaser image of a disguised.. Available in three grades: Pure, Prestige and Portfolio. 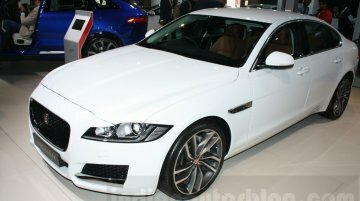 Jaguar Land Rover India has launched the second generation Jaguar XF today. It is available in three grades: Pure, Prestige and Portfolio,..
Will be launched in India this month. The 2016 Jaguar XF's specifications and features have been officially revealed for India. 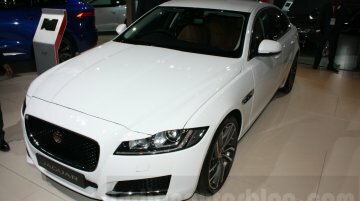 The second generation Jaguar XF made its Indian debut at Auto Expo.. The new XF is based on the lighter, aluminum-intensive iQ platform. 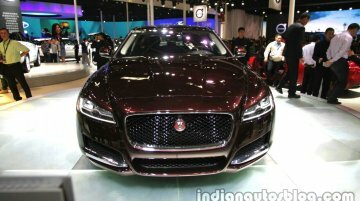 According to Zigwheels, the 2016 Jaguar XF will launch in India in the second half of this month. It's unclear if the new XF..
Second-gen Jaguar XF stretched exclusively for China. Jaguar has revealed the specifications of the 2016 Jaguar XF-L in China. 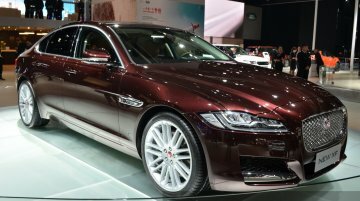 The 2016 Jaguar XF-L debuted at Auto China 2016 in April, and has..
First locally-built Jaguar for China. The Jaguar XF-L has been unveiled at 2016 Auto China (2016 Beijing Motor Show). 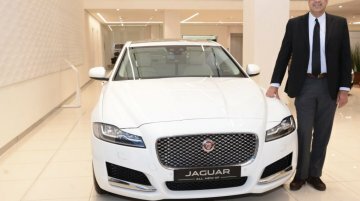 The Jaguar XJ's long-wheelbase version is available globally but, Jaguar Land..
No plans to launch the stretched variant in markets other than China. 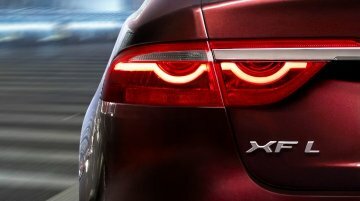 Jaguar has released a teaser image of the all-new Jaguar XF-L and announced that it will debut the stretched variant at Auto..
Expected to launch in India this year. Jaguar Land Rover India is showcasing the 2016 Jaguar XF at the Auto Expo 2016 today. 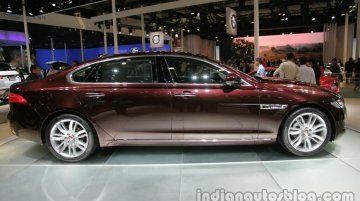 The new XF is expected to launch in India this year. Compared to..
Aluminium-intensive construction reduces weight by 190 kg. 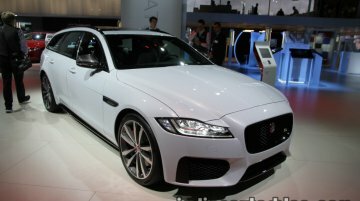 The 2016 Jaguar XF was put on display at the 2015 Shanghai Auto Show. The car made its international debut at the 2015 New York..
Jaguar XF and F-Pace will be showcased alongside. 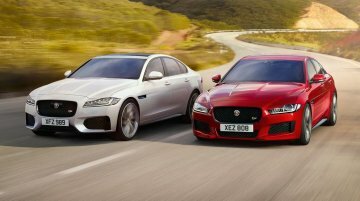 Autocar reports that Jaguar has confirmed its lineup for the Auto Expo 2016 in February, which will include the market launch of the entry-level.. 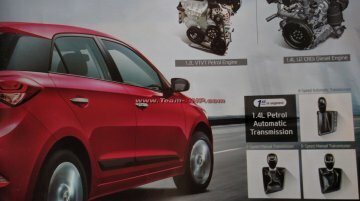 The XE could debut the Ingenium engine for India. A report on Autocar suggests that Jaguar Land Rover has decided to expand its engine-only facility in Wolverhampton, UK. The company is all set..